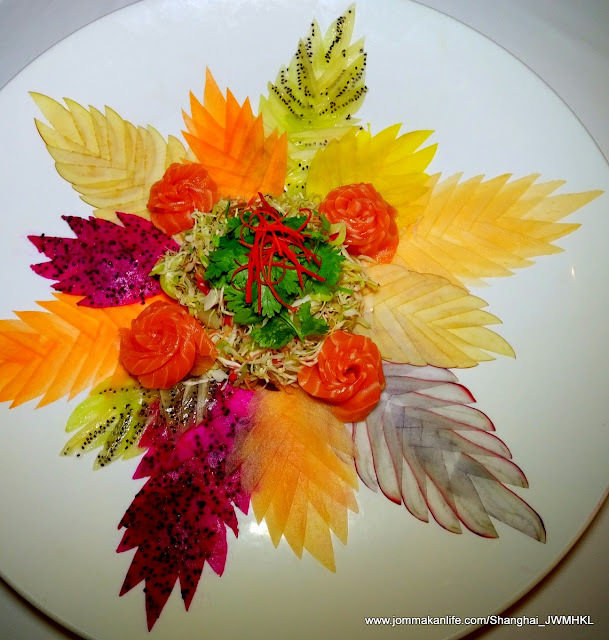 An assortment of fresh fruits – painstakingly sliced and arranged into a floral pattern – was the Instagrammable show-stopper at Shanghai Restaurant, JW Marriott Hotel Kuala Lumpur. 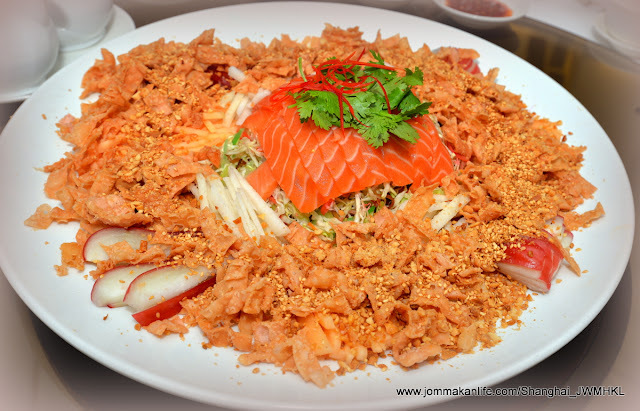 For the yee sang (raw fish) component, take your pick from abalone, jellyfish, salmon, lobster or geoduck while vegetarians can opt for vegetarian ham. 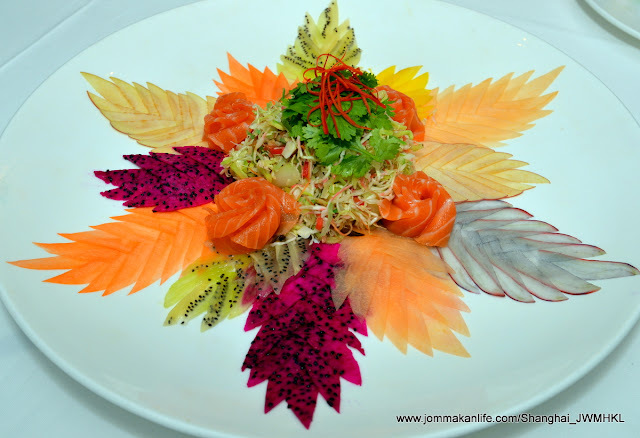 The colourful Prosperity Yee Sang with Salmon & Fresh Fruits was distinctly winsome thanks to such fresh and natural ingredients, nicely rounded off by Shanghai’s housemade secret sauce. We had repeat helpings of it without much persuasion. Executive Chinese Chef Wong Wing Yuek also surprised us with his brief violin performance after the 'lou sang' ritual. 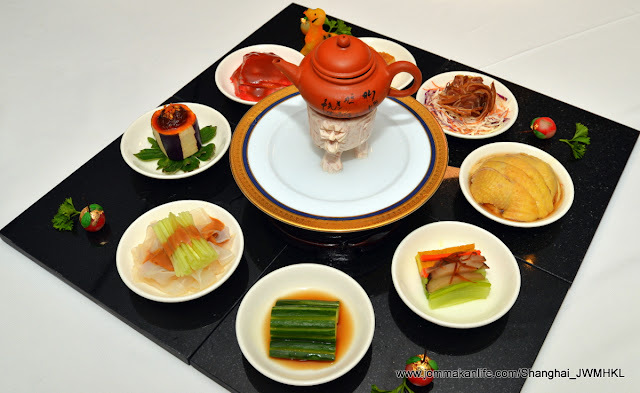 Behind him the restaurant team trailed in bearing a succession of Shanghainese hot & cold dishes. We had a hard time deciding which of the many splendoured specialities held more appeal. 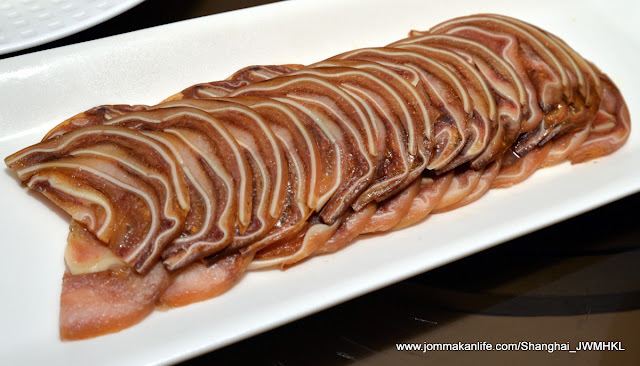 Personally, I favoured the old-school Sliced Pig’s Ears with Sesame Oil for its delicate crunchiness. The intoxicating but palate-pleasing Chilled Drunken Chicken in Chinese Rice Wine also hit the spot for me. 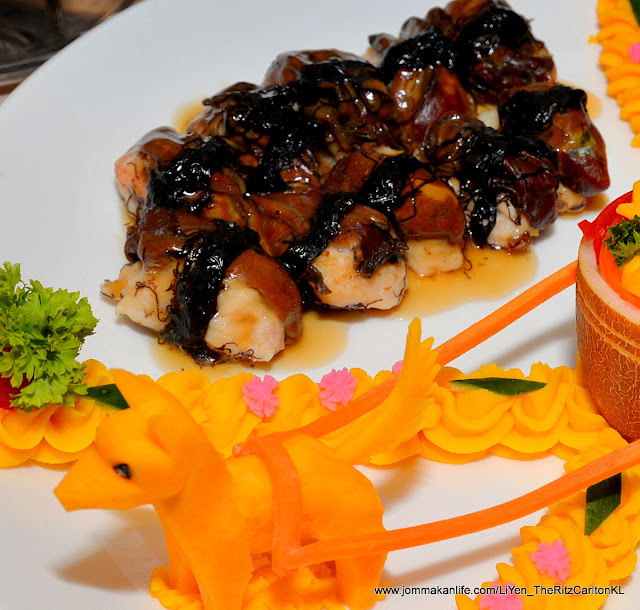 Redolent with lush nuttiness, the Flat Glass Noodles with Peanut Sauce proffered slippery and springy textural interest while the tender Duck with Chef’s Special Sauce proved delectably scrumptious. 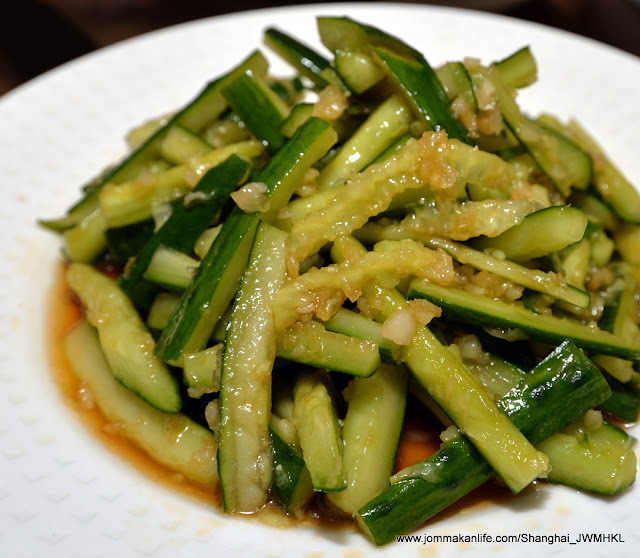 Strong robust flavours emerged from Eggplant with Bean Sauce & Chilli Paste, providing good contrast with the coy, muted accents of Japanese Cucumber with Minced Garlic & Soya Sauce, and Celery with Dried Beancurd & Shredded Mushroom. 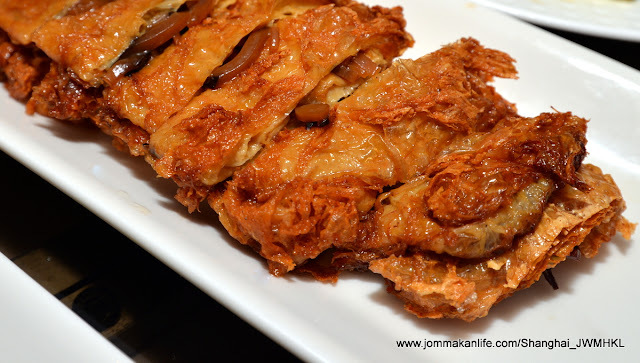 Vegetarians will find the Deep-fried Beancurd Skin Rolls with Shredded Mushroom immensely likeable. 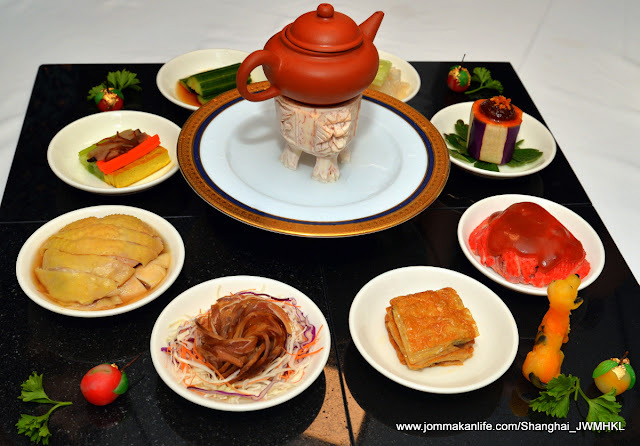 Starting from RM288.80 per person, Shanghai will be offering three set Lunar New Year menus and special a la carte this year, catering to reunion and corporate gatherings from 1 February until 2 March 2018 for lunch and dinner. Pork takes centrestage in many of the excellent culinary creations at this sleek, newly refreshed restaurant. One raveworthy creation was the buttery-tender and superbly tasty Braised Spanish Pork with Pine Nuts & Vegetables. 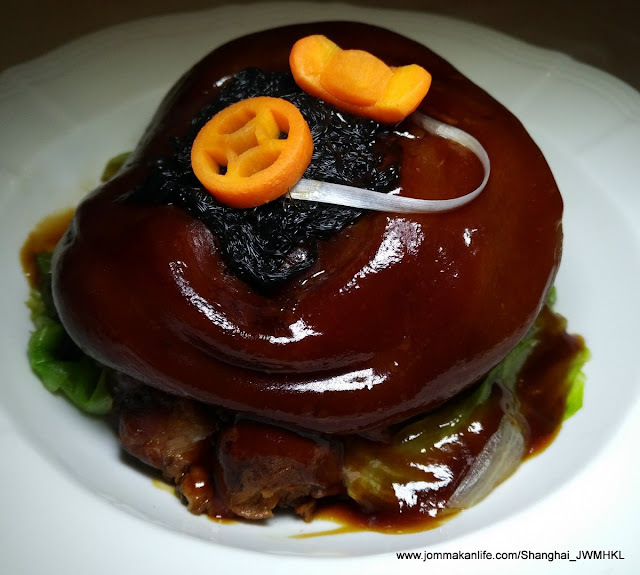 Its close rival is the Braised Pig’s Trotter with Seamoss – a perennial CNY staple dish among the older generation because the dish known as ‘wang choi jau sau’ means monetary luck in hand. 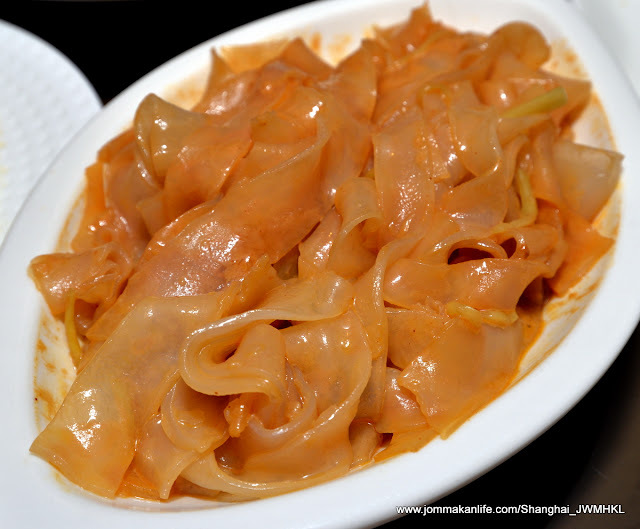 Chef Wong acquitted this delicacy so well you’d want to lap up the unctuous sauce too. 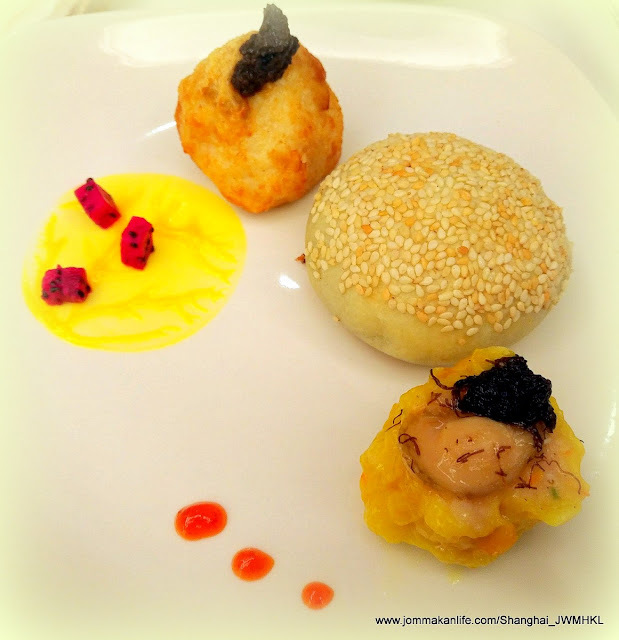 Signature dim sum to relish throughout the festive period should include Shanghai’s famed Baked Royal Bridge Biscuits. Covered with sesame seeds, the flaky baked pastry with savoury pork filling was the bee’s knees. We also love the Steamed Siew Mai with Abalone…honestly, who would complain about that luxe textural interest to the meat-prawn dumpling? More contrasting textures piqued our interest from the Deep-fried Beancurd Stuffed with French Goose Liver & Truffle Paste. 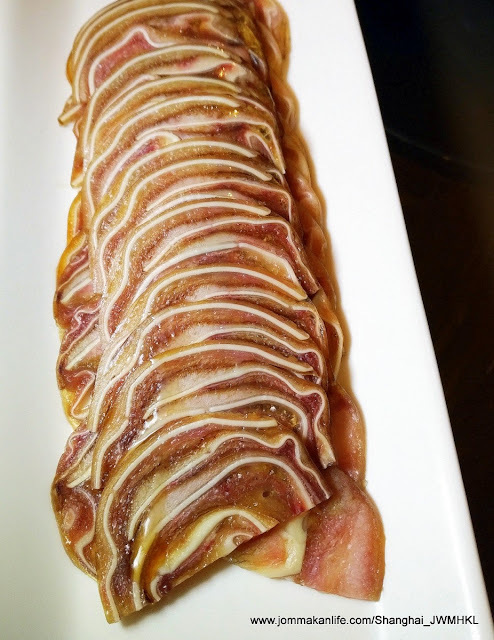 The voluptuous burst of musky truffle scent and dense smoothness of rich goose liver definitely knocked our socks off. 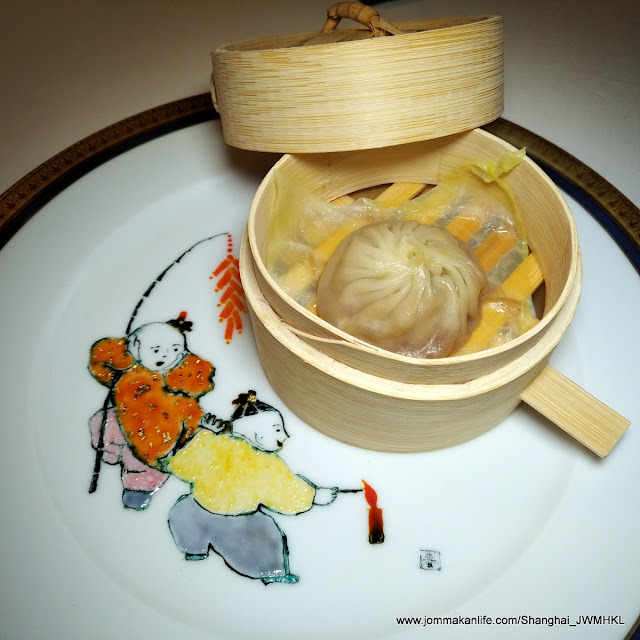 Naturally, no visit to Shanghai is complete without savouring Xiao Long Bao – the signature broth-filled Steamed Shanghainese Dumplings. 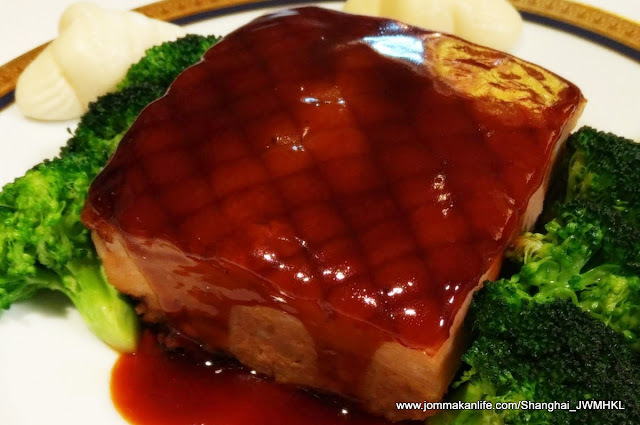 The sweet meaty jus from the minced pork is manna for the soul...the essence to leave you anticipating your next visit to Shanghai. 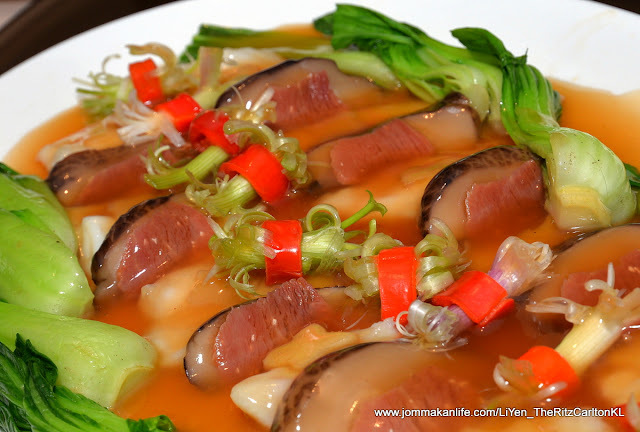 So make haste and make your reservations at Shanghai restaurant by calling tel: 03 2719 8288. Address: JW Marriott Hotel KL, Jalan Bukit Bintang, KL. 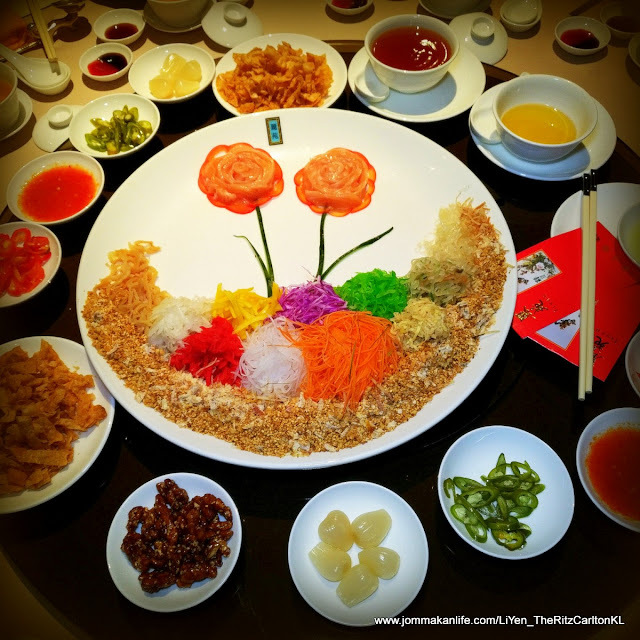 Yee Sang – the harbinger of auspiciousness and prosperity returns to herald the Year of the Dog highlighting salmon, tuna or abalone variants at Li Yen, The Ritz-Carlton Kuala Lumpur. 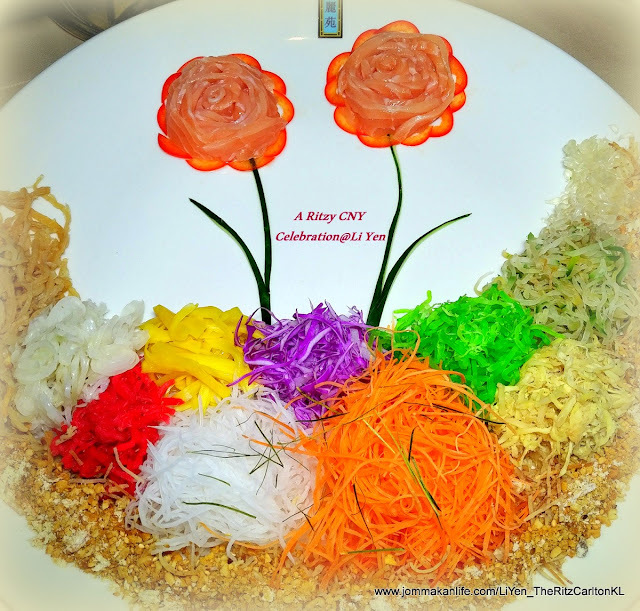 The raw fish slices came prettily arranged, shaped like flower blossoms with the various freshly shredded vegetables, crushed nuts, crisps and pickles forming the base. 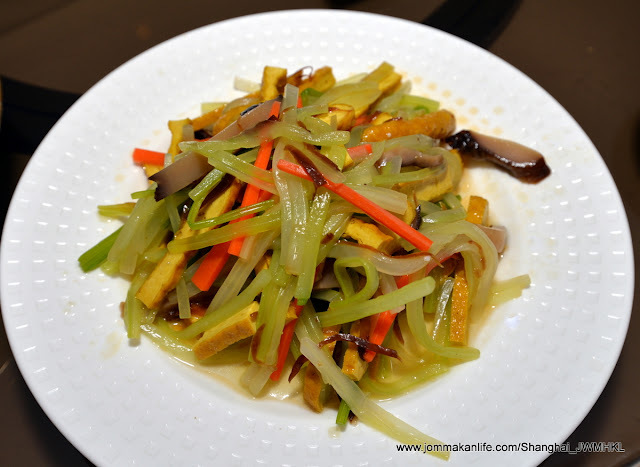 After the whole gamut of ingredients were thoroughly tossed and stirred, the colourful salad tickled our tastebuds with a milieu of bright, tantalising flavours and multiple textures. 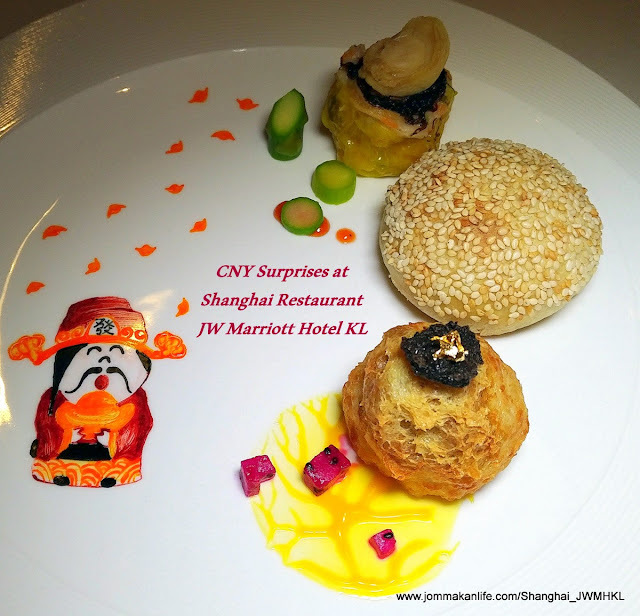 Available from 15 to 18 February 2018, Executive Chinese Chef Leung Kwai Hong and his team will showcase their culinary prowess in specially composed set lunch menus priced from RM1,388 nett per table of 10 persons and set dinner priced from RM1,888 nett per table of 10. 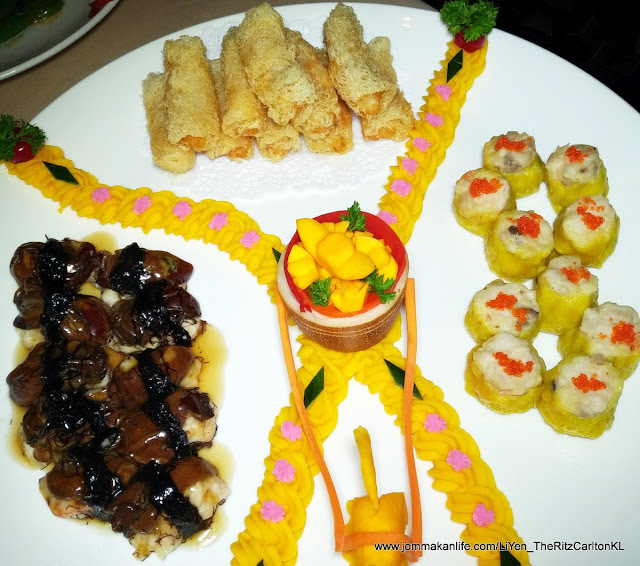 Should you wish to sample the Chinese New Year celebration menus before the promotional period, just call Li Yen ahead of time to make it happen. 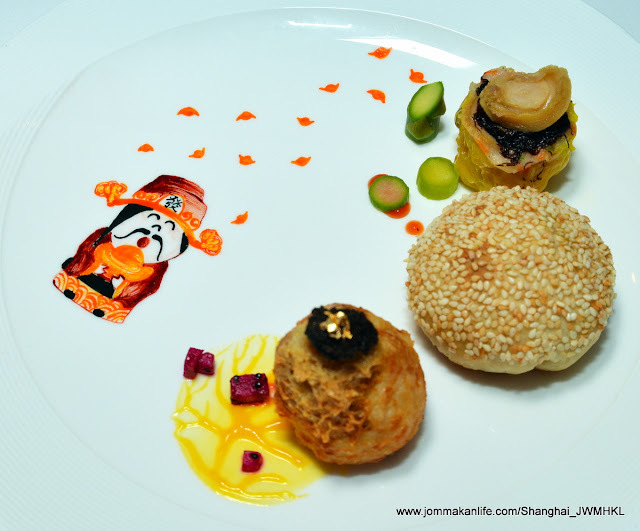 We were lucky to enjoy samplings of the festive specialities in store; handpicked from Li Yen's different set menus. 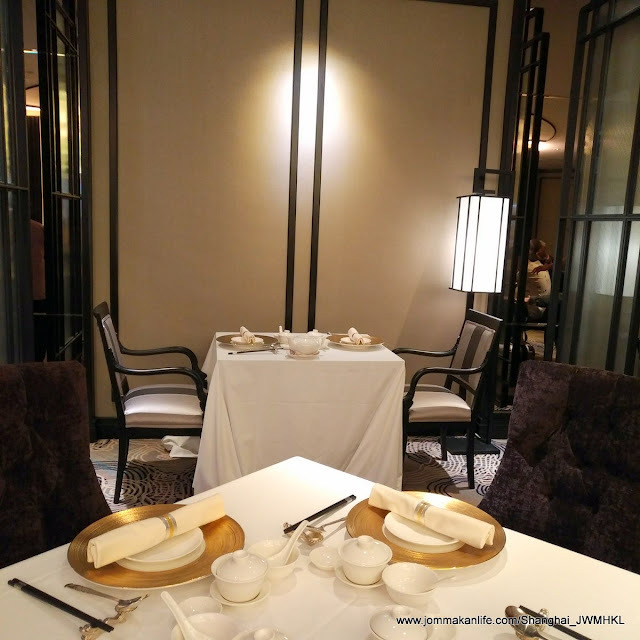 Our lavish lunch opening volley comprised Steamed Siew Mai with Crab Meat, Steamed Oyster with Seamoss, and Deep-fried Meat & Minced Prawn Rolls from Li Yen’s popular dim sum selection. 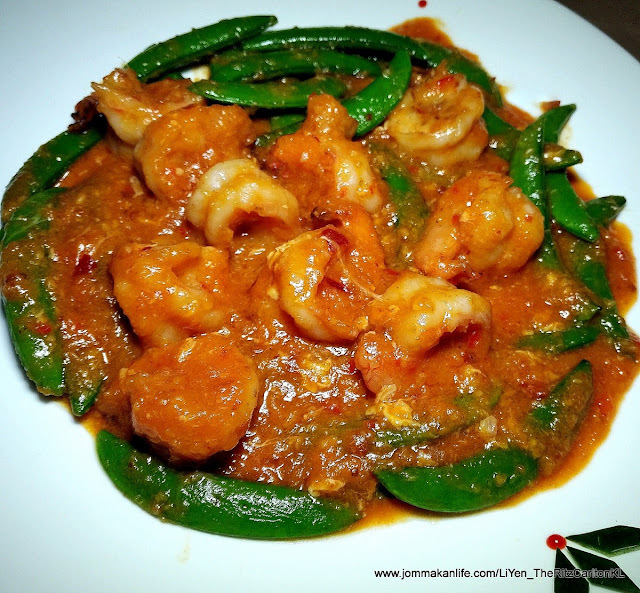 As expected, the scrumptious morsels were on-point with delightful textural appeal of prawns and plump dried oysters discernible. 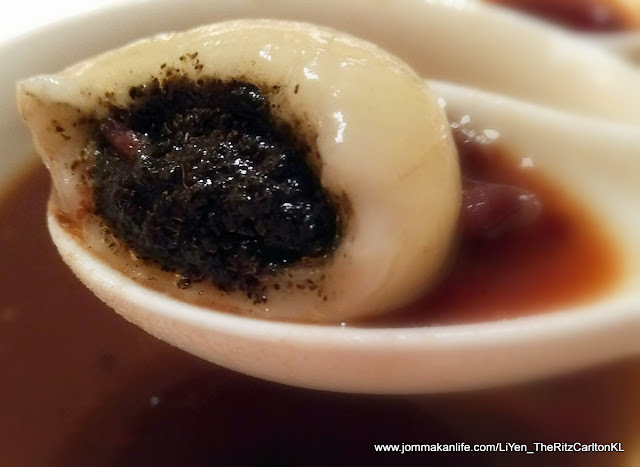 Abalone is a perennial delicacy on many festive tables during CNY as the premium shellfish or bao yue symbolises smooth progress to the Chinese. 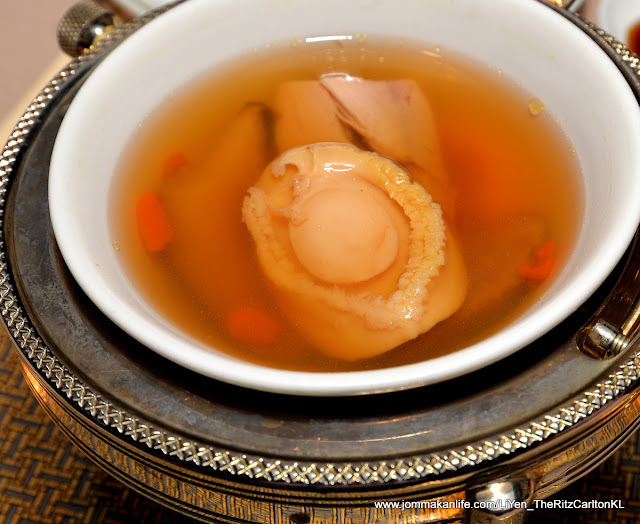 We made good of the Double-boiled Chicken Soup with Abalone and Mushroom too; lapping up every salubrious drop of the heartwarming soup. 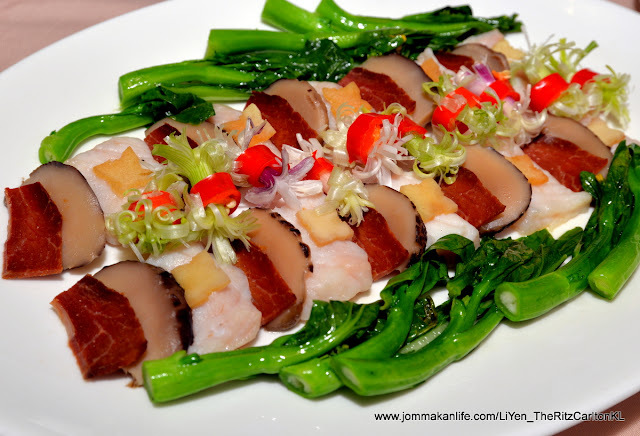 Subtle, contrasting textures and delicate nuances prevailed in the Steamed Bamboo Fish with Chinese Ham. 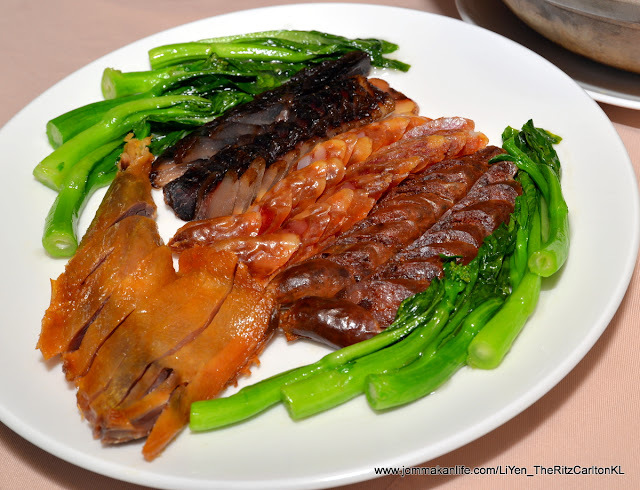 A refined dish brimming with clear, unadulterated Cantonese influences, I daresay no Chinese food connoisseurs will ever tire of eating it. 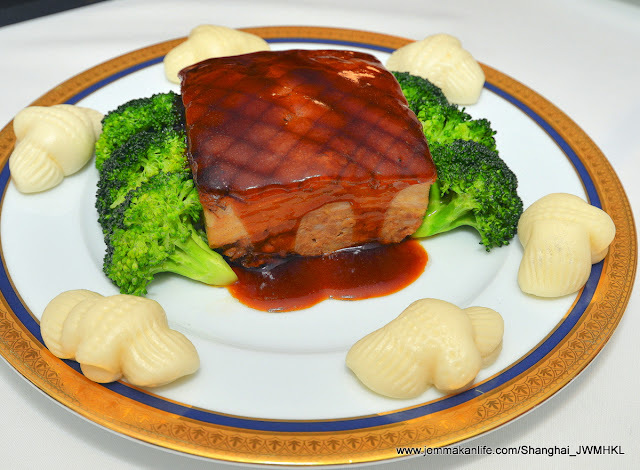 A well-thought out menu always has something for everyone and the set menus at this elegant restaurant is no exception. 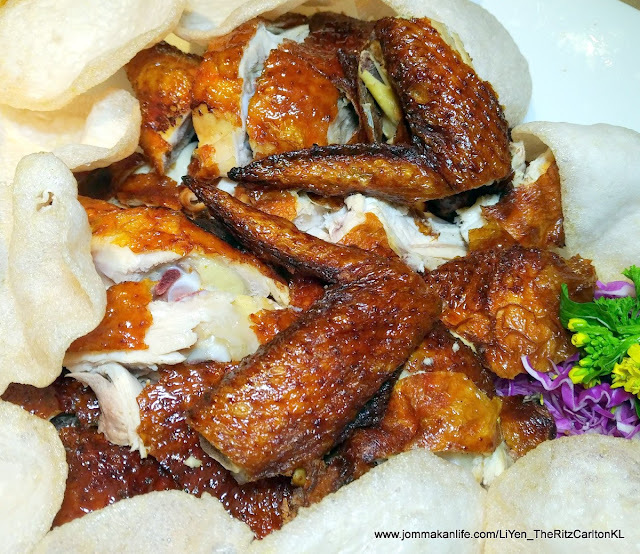 Li Yen Special Roast Chicken should get the thumbs up from younger diners thanks to the crispy skin and moist, juicy meat. Surrounded by prawn crackers, we love the old-school touch that harks back to the good ol’ days. 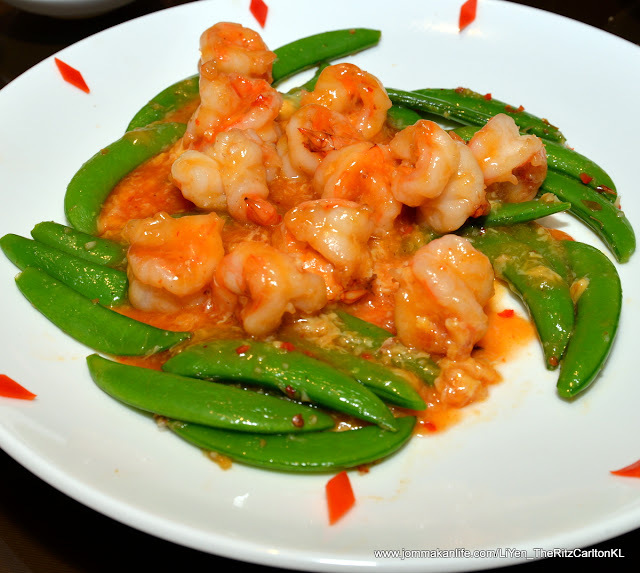 The speciality of Stir-fried Prawns with Chilli Paste was notable too thanks to the irresistible tangy-sweet-eggy sauce smothering the springy, shelled crustaceans. 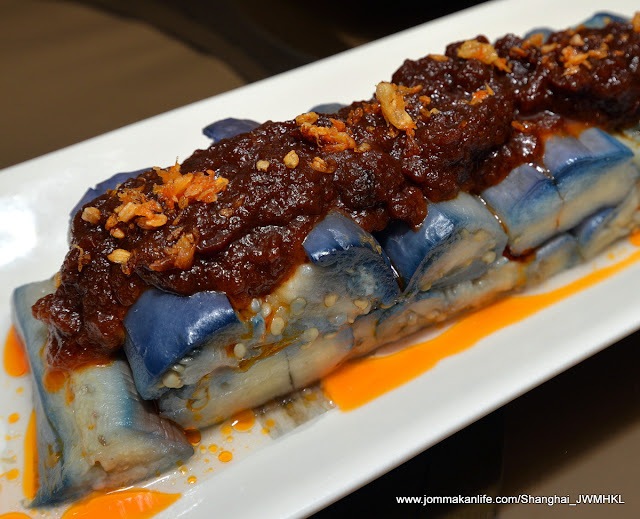 A dish guaranteed to leave you LOL or at least, smiling from ear to ear. 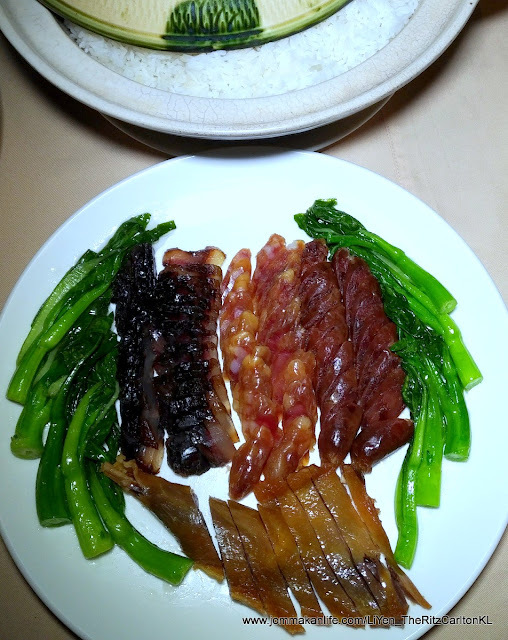 Specially imported Chinese sausages and waxed meat from Hong Kong are the central ingredient for the signature Steamed Claypot Rice with Chinese Waxed Meat. 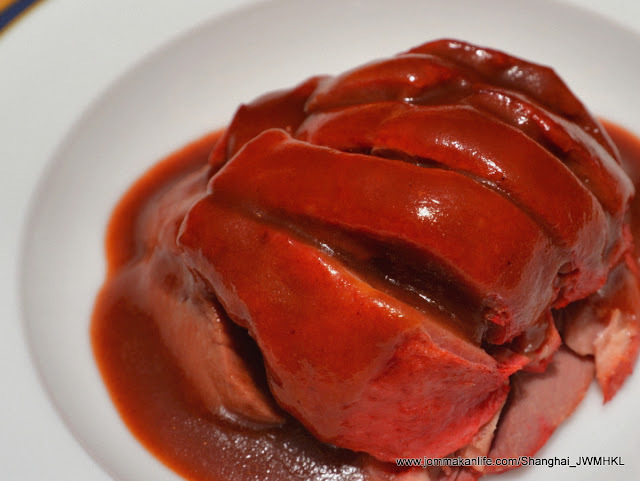 It took about 45-minute of painstaking preparation using selected Chinese herbs and the waxed meat to render the rice deliciously flavour-rich. 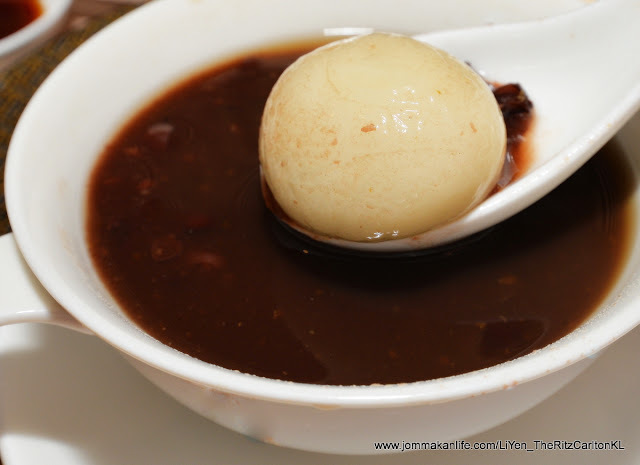 Dessert is kept simple with familiar crowd-pleasing options - think Black Sesame Dumplings in Red Bean Soup among them, to sweeten your celebratory meal.